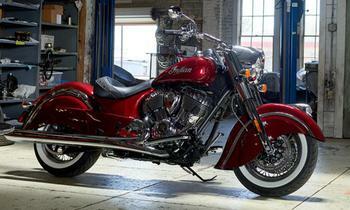 Indian Motorcycles Company is recalling 2,096 model year 2017-2018 Chief, Chief Classic, Chief Dark Horse, Chief Vintage, Chieftain, Chieftain Classic, Cheiftain Dark Horse, Chieftain Elite, Chieftain Limited, Springfield, and Springfield Dark Horse motorcycles. The motorcycles may be equipped with a European-market, not US-market, halogen headlight assembly. The light output from the incorrect headlight can affect the motorcycle's visibility, increasing the risk of a crash. Indian will notify owners, and dealers will inspect the motorcycle and replace any incorrect headlight assembly, free of charge. Owners may contact Indian customer service at 1-877-204-3697. Indian's number for this recall is I-17-03.